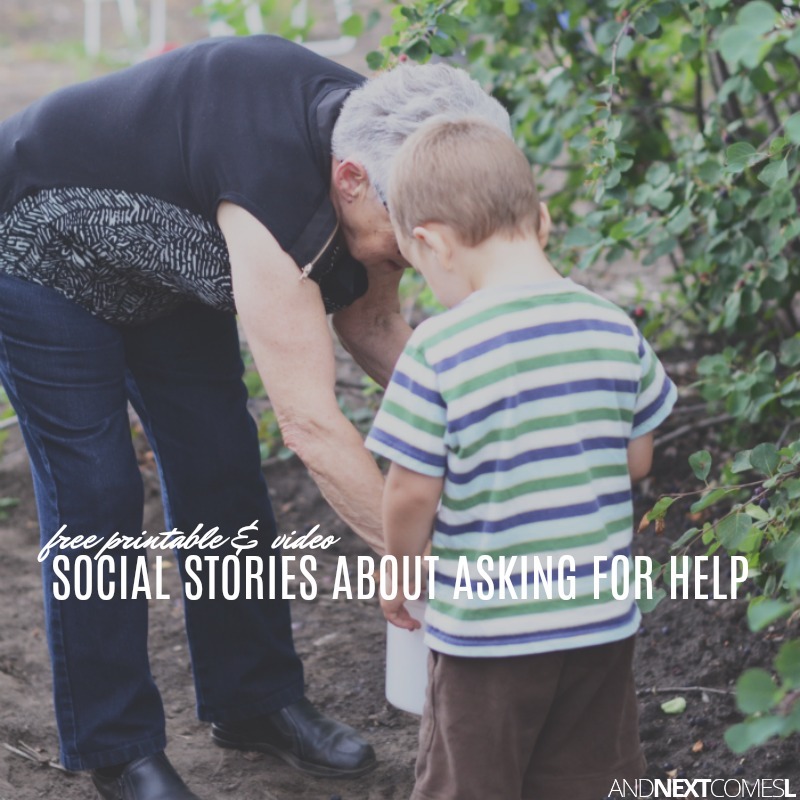 A collection of free social stories about asking for help including some free printable social stories for kids. Many kids need help with how to ask for help and when to ask for help. Sometimes they need help knowing what to say, which is where this free social script comes in handy. Other times, they need to be shown the rules for a classroom, such as raising your hand when you need to ask for help. 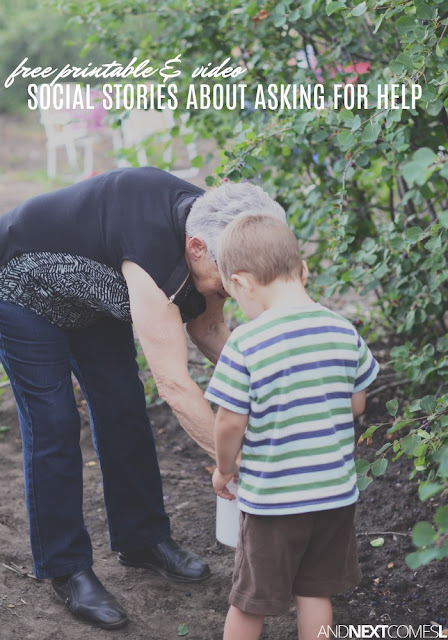 This collection of social stories about asking for help are entirely free and should be helpful for a variety of settings from home to school. So whether you want to go the video route or the written printable route, you are sure to find something on this list that will be helpful for your child. I hope you find these asking for help social stories helpful! While I love my free printable social script mini book about asking for help, they don't use pictures. They just give kids the words to express themselves when they need help. So they're a bit different than using a social story. Here are a few free printable asking for help social stories to check out that include written words and pictures to support the text. You will need a Teachers Pay Teachers account, which is free, in order to download one of these stories. These video social stories about asking for help are helpful and outline the different steps required for asking for help.